No matter if you are planning for the arrival of your first child or you are already a parent, there is one thing you are most likely aware of: Raising a baby can be very expensive. As you begin to make a list of the baby supplies that you will need, it is important to consider your budget and how much money you are willing and able to spend. Like all parents, your primary goal is to get what you need without spending too much. Having a baby in the house is going to cost a bundle, but there are still many ways you can save on the necessities. A baby shower is a lot of fun. You get to spend time with family and friends while enjoying the fact that your baby will soon be brought into the world. Of course, this is also an event in which you will receive a number of gifts. To avoid receiving gifts that you do not want or need, make sure you fill out a gift register. Additionally, it is essential to inform the people on your guest list where you are registered far in advance of the date of the shower. If possible, encourage family members to pool their money and purchase high-ticket items, such as cribs or high chairs. 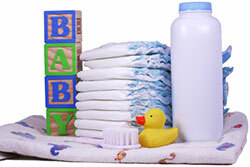 When shopping for baby supplies, you will discover that you have multiple options for many items. For example, there is a plethora of strollers and high chairs on the market, ranging in price from less than $100, to more than $300. Some parents make the mistake of buying the items with the highest price, thinking that a higher price means better quality. While I wouldn’t suggest that you should always buy the cheapest products, there is always a happy medium. Most people realize soon enough that the highest priced items are not much better (if better at all) than those that are considered to be middle of the road. Thanks to the Internet, buying used baby supplies is easier now than ever before. Not only can you find local stores and flea markets that sell used items, but going online will open up a world of opportunity. 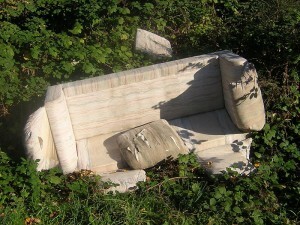 Have you ever scanned Craigslist listings in your area? Scan the site’s “for sale” section, and you will quickly find that you can purchase used items at a fraction of the cost of new items. Of course, some baby supplies are fine to purchase used, while others are best to buy new. Instead of focusing solely on the price, you must consider whether the item is going to be 100% safe for your baby. For example, a used car seat is not a prudent choice. Do you have family members or friends who are willing to give you baby supplies that they no longer need? You may not want to rely solely on hand-me-downs, but this is a great way to pick up supplies that you need without having to spend much money, if any. Don’t be shy about asking others for hand-me-downs. Most people would rather give away their old items than throw them in the trash. Just like anything, if you want to get the best deal on baby supplies, you need to do comparison shopping. Years ago, this was extremely difficult, as there were a limited amount of brick-and-mortar stores that sold baby supplies. However, things have changed now that the Internet has brought thousands of retailers into your home. No matter what you are shopping for, you can go online to compare prices and find the best deal. There is no denying the fact that having a baby is very expensive. But rather than getting swamped in bills due to overpriced baby supplies, follow the five tips above, and look for other ways you can save money, such as by making homemade baby food. If you can save a lot of money now as you plan for the future, you can consider using the savings to start a college fund for your new child. What tips can you suggest to save money on baby supplies? The average four-year public university charges around $8,000 per year for in-state students in tuition and fees, and that’s after you factor in financial aid. But if you’re considering a private school, the price rises to a jaw-dropping $28,000. To avoid racking up student loans, or worse, credit card debt, you’ll want to save as much money as possible. And one of the first places to look is textbooks. From 1986 to 2004, the cost of textbooks increased threefold. Since then, they’re still on the rise, but at a more modest 6% per year. However, with just a little research and planning, you can significantly decrease these costs. There’s just no need for it. You’re going to use a textbook for a few months at best, and you’ll get a relative pittance back even if you sell it online when you’re done. There are simply too many other easy, low-cost options available. If you know what books are required for the upcoming semester, research them on the Internet to find the best used price. Good places to look are eBay and Amazon, but there are literally hundreds of places online to find affordable used textbooks. And if you’re buying last-minute, the cost to add expedited shipping is still probably much cheaper than what you’d pay new. Better yet, you can also rent textbooks online and save even more. You decide how long you need the book – for the quarter, semester, or an even shorter period of time. In fact, there are plenty of websites where you can rent textbooks. And when you’re finished, you can typically print a label provided by the vendor and return it without paying for shipping. You can save even more than renting if you purchase a digital version of a print textbook. And there may be a few added conveniences. Depending upon where you buy, you may have high-speed search or electronic note-taking options available. And books are usually accessible for an entire year. Although they’re not as readily available as other options, if you can find one, this may be the best route to go. This is probably the least viable option, but still worth looking into. Open source textbooks are published under a Creative Commons open license which means they’re fully available to the public and free, depending on the format. If you find a textbook you need through an open source website like Flat World Knowledge, you can view it for free online. With this and similar websites, you can self-print the book in a PDF file for a small fee, or even request a black and white version of the book at a reduced cost. Most sites also offer audio versions of these books as well. If you choose to purchase physical copies of your textbooks, don’t just let them collect dust on a shelf when the semester is over. Set up an account on eBay or Amazon and resell them to get some of your money back. Just be sure to describe the condition of the book accurately, package it with care, and ship promptly. The last thing you want to deal with is a return or an angry customer. What other ways can you think of to save on college textbooks? I’ve never been a fan of getting things you don’t deserve, whether by deception or stealing. But when I purchase a product and it doesn’t live up to my standards, I make it a point to let the company know. Crappy ways of getting “free” stuff include lying about poor service at a restaurant, returning an empty box to a store in order to procure a second item for free, and scamming stores with coupons (watch TLC’s “Extreme Couponing” for examples of this deceptive practice). I abhor these “practices” and highly advise against them. But if you truly have a problem with a product or service, by all means, TELL the company about it. In fact, I’ve had success in gaining a replacement for defective merchandise or poor service nearly a dozen times in the past couple of years. Here are some of the highlights. I bought a six-pack of Coca-Cola, and when I got it home, found a can was empty of the sweet stuff (the can wasn’t damaged or punctured). I e-mailed their customer service and was sent a coupon for a free six-pack to make up for it. Free is free, right? A similar instance to the Coca-Cola one: I purchased an HP printer cartridge and found that no ink would come out of it, no matter what I tried. I spoke to a technician through e-mail, and when we couldn’t get it to work, I was asked to send in the defective cartridge. In return, Hewlett-Packard sent me a new cartridge, free of charge. This one earned me a mention on The Consumerist. You can read the full, bloody Tostitos story here. The short version is that when my husband opened a stubborn jar of Tostitos Southwestern Ranch Dip, his finger was cut from a piece of chipped glass — chipped UNDER the lid. But he neglected to tell me about said event, so when I arrived home after working a late shift, I opened the dip and sliced my OWN finger. As I put on a bandage, I saw the bathroom wastebasket full of bloody tissues. Frito-Lay, Tostitos’ parent company, saw my blog post before I could contact them, and made things right with some free products and a bunch of coupons for even more free products. Comcast was our old cable provider, and we not only had our cable ‘accidentally’ disconnected once, but TWICE (I watched the guy go up the pole the second time). So I wrote this scathing blog post, fueled by the fact that the disconnection caused me to lose paying freelance work. Someone from Comcast read the post (I assume the company has a public relations department that looks for negative mentions on the Web) and offered to make things right. For our two-day interruption of service, we were credited a half-month of costs on our next bill. A full month would have been better, considering we pay an arm and a leg for our service, but it’s better than nothing. Again, I don’t condone deceptive consumer practices. That being said, I DO encourage anyone who has a less-than-stellar experience with a company to let them know about it. But the key is to not be a jerk about it. Don’t call and berate the person on the other end of the line. Most of my experiences involved writing an e-mail to the company’s customer service department or blogging about my poor experience with a product or service. Sure, some of it is passive (writing a blog post far from guarantees a company response), but it’s just as much a shot in the dark as writing an email and hoping someone from customer service actually responds. At the very least, you’ll get your complaint off your chest! Because of her prematurity, our pediatrician had me hold off on breastfeeding because we needed to make sure she was getting enough milk in order to thrive and put on weight. Instead, I pumped as much milk as I could without her “helping” to increase my supply. Once I got the go-ahead, I tried breastfeeding our little one, who was not having any of it, no matter what I tried. 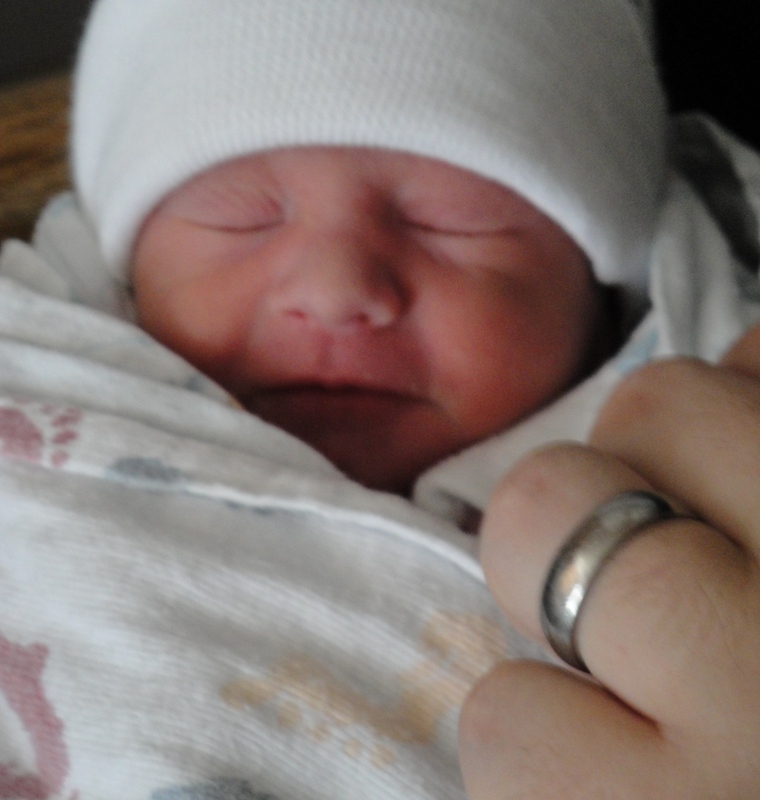 This led to supply problems, and after 6 weeks of feeding her breast milk and supplementing with formula, we had to go to an all-formula menu. That meant I needed coupons for our formula, Similac Sensitive, STAT. Out of necessity, I’ve discovered a number of ways to save on our preferred formula brand. Search for sales. This is a no-brainer, but not all parents have the time or energy to do this. But if you want to save, you’ll need to carve out a bit of time each week to see what the prices are at your local stores. Each week, I check out the Sunday circulars for Target, Rite-Aid, CVS and our local grocery stores to see if Similac formula is on sale anywhere. If so, I’ll make a point to get to that retailer during the sale week. Tip: Sometimes, the store is out of our particular kind of formula. In that case, it’s worth it to stop at the customer service desk and pick up a raincheck for a few containers. Sign up for manufacturers’ mailing lists. Similac, Enfamil and Gerber are some of the formula manufacturers who have membership programs. There’s no cost to sign up – be sure to include your real name, address and email, and you’ll get on their mailing lists. In this case, that’s a good thing – they occasionally send coupons through the mail or via email, and what’s more, you’ll likely receive free samples. I’ve gotten coupons for free formula, along with the coveted $5 off “checks.” Depending on retail store policy, you can usually combine these checks with manufacturer and store coupons. This only increases your savings. Tip: Sign up for all three programs a month or two BEFORE your due date to ensure you’ll have some samples on hand. Your hospital/pediatrician will help you decide which formula will be right for your newborn, and you’ll have coupons/checks available to you, no matter what! The checks are generally good for a few months, so don’t worry too much about them expiring. Hit up friends and family. Not for money, but for coupons! Have them save the coupon fliers from the Sunday paper or forward you any extra formula coupons they may have. I’ve scored multiples of $3 and $5 manufacturer coupons by getting fliers from my father and in-laws. Tip: Make sure your relatives and friends know which formula you use. That way, they can clip the coupons and either mail them or give them to you. Check out message boards. Many people post on message boards such as The Bump or BabyCenter in order to swap coupons with other parents. If you have Enfamil coupons and need Similac coupons, ask the other board members – someone may have what you want. It’s a great resource, and a $5 coupon (or three!) is well worth the price of a stamp. Tip: Subscribe to both parenting and couponing boards to double your chances of scoring some sweet savings. Utilizing some of these tactics, I’ve been able to save $5, $10 and even $15 off each 23-ounce tub of Similac Sensitive formula, which runs anywhere from $19 to $24, depending on the store. Combined with sales, you can get truly great deals. If I find the formula is on sale, I’ll make a point to take my checks and coupons over to that particular retail store and stock up. Powdered formula lasts about a year unopened (always check the use-by date stamped on each container). I always have four or five tubs of formula in the pantry so I won’t run out – that’s about a month’s supply. Any more than that, and you could find yourself stuck with non-returnable items in the event that you have to change the baby’s formula. Keep your receipts and you can return or exchange the formula. When you’re trying to live frugally, it’s hard to get any pleasure out of spending money, since the action goes completely against the grain of your lifestyle. Trust me, I know this from firsthand experience. It pained me to buy maternity clothes (although I was lucky I didn’t have to spend TOO much, as generous friends have lent me a lot of pieces), and I almost never spend any money on myself as far as haircuts, pedicures and makeup. I’ve always been a homebody, but once upon a time, Mr. Saver and I used to go out at least once or twice a week for dinner and/or drinks with friends. But since we bought our home in June 2009, most of that went the way of the dido. A reduction in available funds will do that to you, once you have a mortgage and have to pay property taxes — especially here in New Jersey! It’s gotten to the point where we need to talk ourselves into spending money on things that bring us pleasure, such as dinners out. For instance, we love sushi, and there’s a great place not 5 minutes away. But knowing that we’ll spend about $60 on a meal there, it doesn’t happen too often. In fact, we know that we can go to our local grocery store and get sushi from the sushi counter for less than half the price. But it has nowhere near the selection and taste of our favorite sushi place. We don’t get sushi that often, but when we do, we enjoy it at the “good” restaurant, even though it’ll set us back a few bucks. Today is Mr. Saver’s birthday (Happy Birthday, babe! ), and we don’t have plans to go out. Well, *I* don’t, because I’m working the late shift tonight and won’t be home until 2 or 3 am. But he’s decided to take the opportunity to go to a local bar with his friends. Sure, buying drinks and rounds can get expensive, but since we don’t go through money like water, it’s a well-deserved night out for him. And we rarely go out for drinks anymore. Well, I sure don’t, being pregnant and all! My pregnancy and our impending baby has turned Mr. Saver into a homebody, too. So what will we do to have fun once Baby Saver arrives? (ASIDE: Baby Saver sounds like a bad infomercial product, doesn’t it?) I’m not sure. Our financial instinct will probably be to become even more frugal in our ways. But we’re still going to try to have some fun, even though our idea of “fun” usually involves a nice meal rather than a night at the movies or out on the town. I suppose the homebody instinct is just too strong with us! 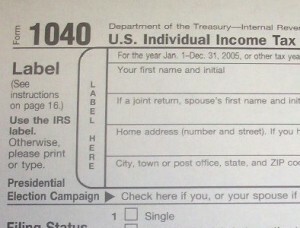 If you’re like me, you’re one of those people who can’t wait to get your W-2s and 1099s in the mail in January. We’ve always gotten a bit of a refund (yes, I know, it’s money that could be better spent invested, but that’s a topic for another day). And now that we’re homeowners, the refund is magnified, thanks to mortgage interest and property tax deductions. But to get those deductions, we have to use Schedule A to itemize. Checking the mail at the end of January for W-2 and 1099 forms has long been a ritual for me — a lame ritual, but it’s the little things that make me happy. My full-time job sends the W-2, while freelance gigs, book royalties, investments and the mortgage company sends me all sorts of 1099 and 1098 forms. More often than not, I’m waiting into February for a straggler; some company or other will delay their mailings even though federal law says they have to be sent out by the end of January. Then it’s time to conjure up all the magical forms and instructions that we’ll need to file. I’ll search out deductions, check out additions to the tax code in the past year, and gather everything in anticipation of the magical day we prepare our tax returns. But thanks to Congress’ last-minute extension of President George W. Bush-era tax cuts, the IRS needs more time to update its software and processing systems, and has announced that taxpayers who use Schedule A are going to have to wait for the go-ahead to send in their tax returns. The initial window for itemizers to file their returns is currently mid- to late-February, but an exact date has yet to be determined. Taxpayers claiming the Higher Education Tuition and Fees deduction or the Educator Expense deduction also have to bide their time until the appointed date, the IRS says. And it doesn’t matter if you e-file or mail in paper returns — we’re all in the same boat here, folks. What does it all mean? Since the tax filing season is effectively being shortened, those of us expecting refunds will have to wait through the resulting processing delays. It’s not the end of the world, but it would have been nice to get our tax refund around the time Baby Saver is due (early March), which is when we usually get our refund direct-deposited into our checking account. No muss, no fuss! But like tens of millions of other taxpayers, we’ll be waiting it out. And it’s likely the processing delay will affect all taxpayers — not just those expecting refunds. 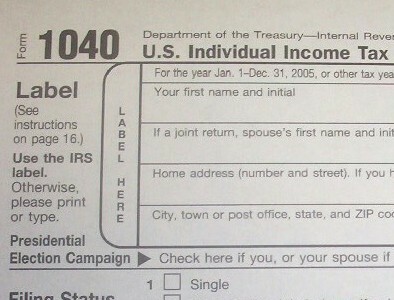 In other news, 2010 tax filing deadline has been extended to April 18 this year. This is thanks to a holiday on April 15 that’s recognized in Washington, D.C., where the IRS is headquartered, called Emancipation Day. As this holiday falls on a Friday, and federal law also doesn’t allow the tax filing deadline to fall on a Saturday or Sunday, we’ve all got until the end of the day Monday, April 18 to run to the post office before midnight. But I seriously hope you’re not one of those world-champion procrastinators who wait in line at the post office, hoping to have your tax return envelope postmarked before midnight! It’s never too early to plan for your retirement, and sometimes that planning involves sacrifice. Sure, you can spend your money now and enjoy it, but is it really worth it if you’re destitute in the golden years of your life? Most people who live to a ripe old age will need some sort of advanced care toward the end of their days on Earth. And that means you’ll have to have a nice chunk of change squirreled away for when you retire. How much you’ll need to save toward retirement depends on Social Security’s status by the time you retire, the size of your retirement nest egg and the you’ll need during your golden years. As of right now, a $1.5 million nest egg plus Social Security benefits will keep us going for 20 years if we retire at the age of 65 and can live on $45,000 per year. This is a conservative estimate — we plan to have our home paid off by the time we retire. Sacrifice is part of the plan. Ditch the debt. Take it from someone who has had credit card debt hanging over her head at one time or another(although relatively minor) — all that extra money you’re throwing at your debt could be padding your retirement accounts. Instead of making a $500-$1000 debt payment every month, imagine how good it will feel to put all that month toward savings every month. Don’t lose out on employer match. When I found out Mr. Saver wasn’t taking full advantage of his employer’s 401(k) match (they provide a 50% match of 401(k) contributions, up to 6% of his salary), we upped his contribution from 4% to 6%. Eventually, I’d like to put more toward the 401(k), but at least we’re not “losing free money” now. Increase your contributions when you can. If you find you have “extra” money after paying your monthly bills and expenses, it’s probably time to up your retirement game. Increase your 401(k) paycheck deductions and/or funnel that extra cash into an IRA. Forgo fancy, annual vacations. Instead of spending $2,000 to $3,000 on a week’s vacation to a far-flung locale, that money is better “spent” in a retirement account, such as a Roth IRA or 401(k). If you really need to get away, look at closer-to-home options. Perhaps a few days at a local bed-and-breakfast will provide enough relaxation. Don’t worry about the Joneses. No, you really don’t have to get a new car every four years, own the latest iPhone or buy designer purses and shoes. Don’t fall into the trap of keeping up with the ‘latest trends’ — it will only cost you valuable retirement funds down the line. I can honestly say I’ve never owned a smartphone and don’t feel that I’m missing out. Neither do I have an iPad, which seemed to be this Christmas’ most-received gift among friends and acquaintances. Work longer than you want. Nowadays, many are working well into their 60s (and beyond) in order to ensure their financial security. Most aren’t eligible for Social Security until the age of 62 and Medicare/Medicaid benefits at 65, while full Social Security benefits aren’t realized until the age of 67. For those of us who won’t reach that age for another few decades, be forewarned that the “retirement age” for these federally-sponsored benefits will likely continue to rise. That means we might not become eligible for these benefit programs until the age of 70 — or beyond. I practice what I preach. We don’t buy the latest gadgets, and now that Baby Saver is on her way, who knows when our next vacation will be — even a weekend getaway probably isn’t in our future for a long time. I’d rather save our money in hopes of a safe and secure retirement than fritter it away. 2) Will you really pay it back? I just wanted to apologize for being MIA lately — I realize I haven’t posted in two weeks, which is probably a record for Rainy-Day Saver. We had a death in the family, and my work schedule this time of year is completely nutty. Toss in being 30 weeks pregnant, and you have a recipe for a lack of blog posts, for which you, dear readers, have my deepest apologies. We’ll be back on a regular schedule soon, I promise you. Until then, here’s wishing you a happy, healthy 2011 and all the blessings of the holidays, whatever you celebrate. I get as much use out of things as I can. I cut Brillo pads in half, mend holes my socks and salvage rolls of paper towels that fall into the sink. My husband just laughs at me. And if I actually DO throw something out, you’d better believe it’s been used until it’s so worn out, even *I* think it’s time for it to go. Um, no, it’s really not. In order to keep something in good-enough condition that it lasts for years (or decades), you need to take care of it. For a car, this means maintenance and repairs. It took me 3 1/2 years to pay it off after buying it new in January 2004 (it was a 2003 model year leftover, so I got a great price on it to begin with), and for the past 3 1/2 years, I haven’t had a car payment. I’ve only had basic maintenance done on it — oil changes, brakes, tires. My brother replaced a knob on the heater controls. I get new wiper blades every year. These are the same things you do with a newer car. So while I’ve spent $1650 on repairs since August ($600 fuel pump; $750 wheel sensor/bearings; $300 brakes), in perspective, it’s nowhere near what I would have spent on a new car. 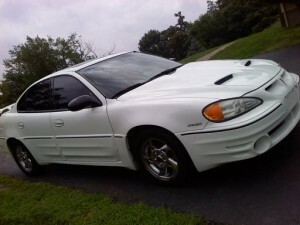 The engine and transmission are sound (knock wood), and I’m comfortable and happy driving my Pontiac Grand Am GT. A new car requires a decent down payment, monthly payments and a new loan — unless you have the cash on hand to pay it in full. Either way, you’re talking upwards of $16,000, easily, for a basic new car. That doesn’t include the taxes, title and registration fees, either. Additionally, we have another car, which IS new. We’ll be paying for that one, a 2009 Ford Escape, for another 3 1/2 years, but at least we got a 0% interest rate on the loan. One car payment is plenty. So no — it’s not time for a new car, dear friends. This one works just fine! Most of our society is an example of consumerism at its best. This is especially true when it comes to electronics, because the minute you buy a product, the technology is already out-of-date. You know there’s a newer, faster computer processor coming down the pike, or a bigger TV with a sharper, crisper display. All of these items that get tossed are winding up in landfills, further cluttering the Earth. While I don’t consider myself to be a “tree-hugger,” I am concerned about my impact upon the world. I would no more throw away my car just because it needed some reasonable repairs than throw out a pair of shoes after five wearings. I’ll admit that I don’t keep everything. But what I no longer need or can’t use, I donate, give away or sell on eBay. And I definitely don’t upgrade my cell phone every time the newest fad model comes out, nor do I have to get the latest iPod — my old-generation 30GB video iPod works just fine. I did get a smaller digital camera last year, but sold my 5-year-old, chunky Canon on eBay to recoup some of the cost and recycle. I didn’t want it ending up in a landfill. Having been in the personal finance blogging business for a few years now, I know I’m not the only one out there who hates to just throw things away — right?